New Substation for East Side Access Advances Modernization of Harold Interlocking, Busiest Rail Junction in U.S. 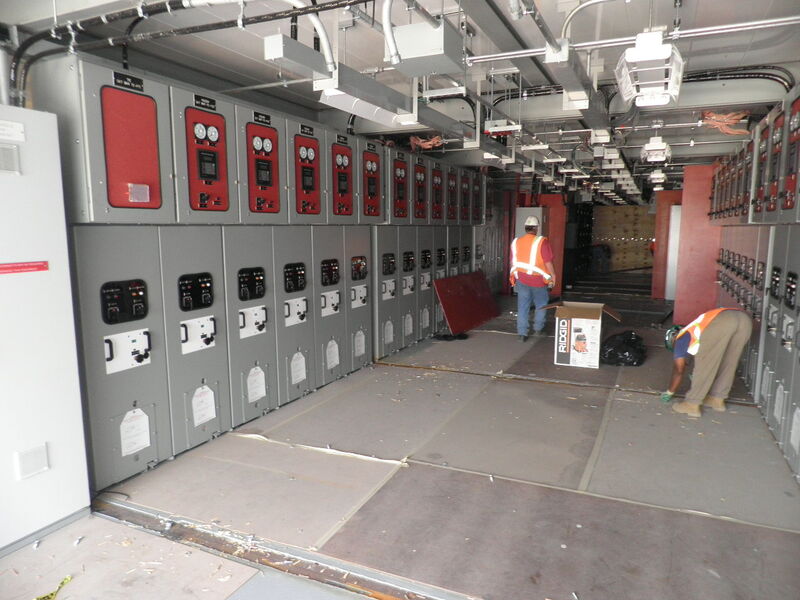 The MTA has completed a new traction power substation as part of the East Side Access project to bring LIRR service to Grand Central Terminal (GCT). 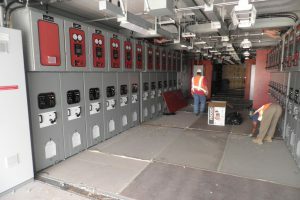 The new G02 substation is part of East Side Access’ effort to modernize the infrastructure throughout Harold Interlocking. 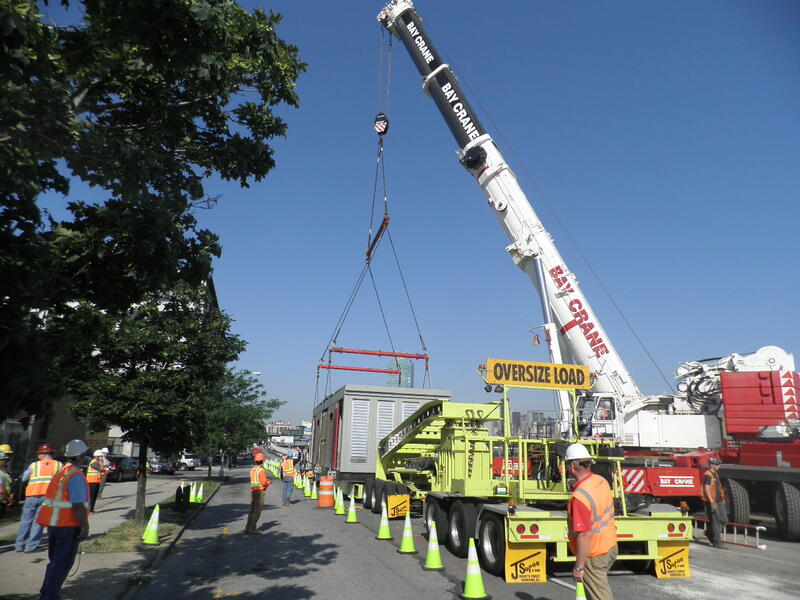 G02 is one of three new substations that will provide traction power for the Main Line LIRR tracks in Harold Interlocking between Thompson Avenue and 48th Street in Queens. 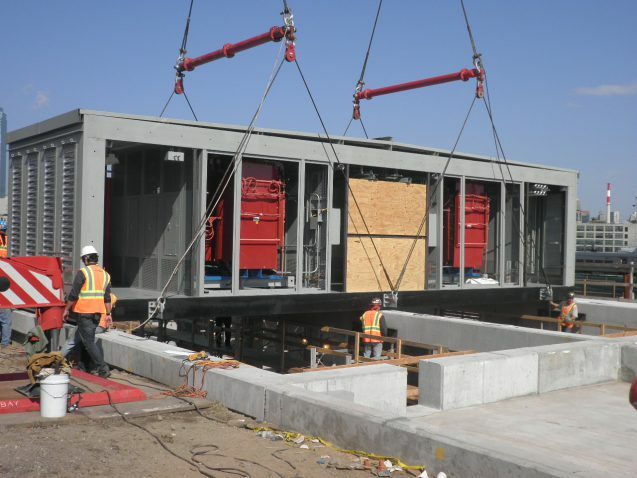 The substation, designed by the East Side Access project team, was prefabricated offsite and delivered to Harold Interlocking in ten sections. Once on site, the sections were bolted together and placed onto a concrete support structure. 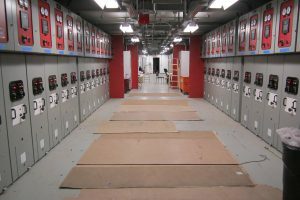 After installation and fit-out the unit was tested extensively for proper functionality. 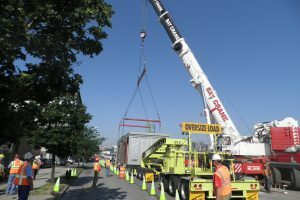 Energization of the substation took place on December 14, 2018, after years of testing and coordination between the MTA and Con Edison. 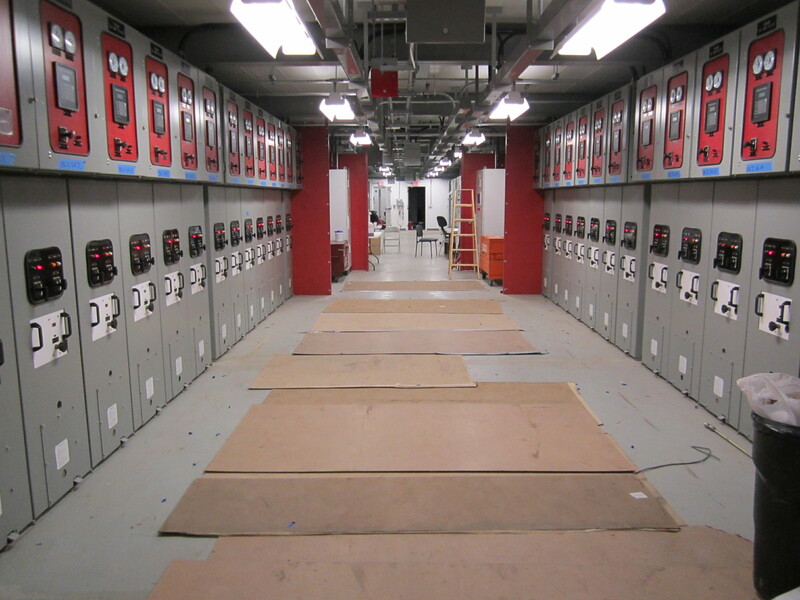 The substation converts direct power from Con Edison into usable DC power for railroad electrification in the interlocking. The old G02 substation, in use since 1971, has been retired and will soon be demolished. Removing the old G02 substation will allow for the construction of the B/C Approach Structure, which will connect the third and final tunnel from GCT to the LIRR’s Main Line tracks. This is the final major construction contract needed to bring Long Island Rail Road service to Grand Central Terminal in 2022. Click here to learn more about this significant and final major East Side Access construction contract, the Tunnel B/C Approach Structure. East Side Access is one of the largest transportation infrastructure projects currently underway in the United States. East Side Access provides new, direct LIRR service into a new concourse below Grand Central Terminal on Manhattan’s East Side, reducing commutes into Manhattan by up to 40 minutes. 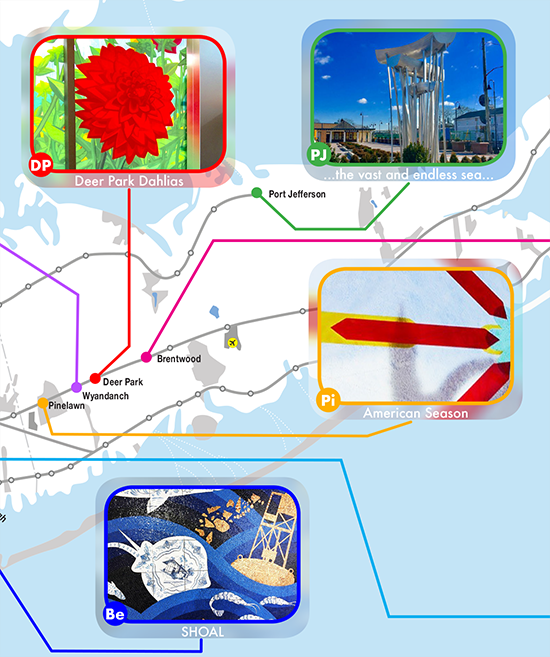 The project encompasses work in multiple locations throughout Manhattan and Queens and includes more than eight miles of tunneling. East Side Access is an integral component of the broader LIRR system expansion initiative to help reduce passenger crowding, train congestion and automobile traffic, and to provide connections with additional regional transportation options such as Metro North Railroad and New York City Transit subways; East Side Access will also alleviate train and passenger congestion at New York Penn Station and its neighboring subway stations. Passengers traveling from Midtown East will enjoy easier access to JFK International Airport via the AirTrain at LIRR’s Jamaica Station. When completed, East Side Access will serve approximately 162,000 customers a day, providing them with a faster and easier commute from Long Island and Queens to the east side of Manhattan in a new eight-track terminal and concourse below Grand Central Terminal.